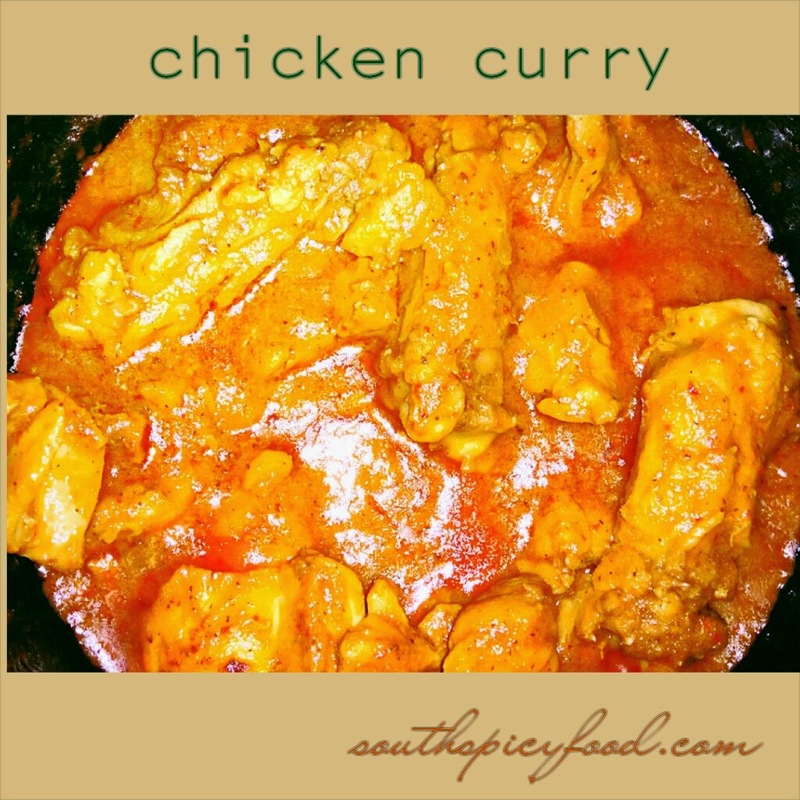 Chettinad Chicken, The most popular chicken curry in Tamilnadu(south India).Chettinad spicy chicken is a delicious,and spicy chicken recipe cooked with dry roasted spices.While Chettinad pepper Chicken goes perfectly with Dosa or Appams and parathas. Heat oil in a vessel,add all ingredients listed under"roast and grind".Roast all ingredients on a medium to low flame until they turn to light golden color and grid to a smooth paste. Now heat oil in a pan, add onions and saute till they turn golden brown.Then add ginger garlic paste,saute until raw smell of ginger garlic paste leaves. Now add chopped tomatoes and saute for few mins. Now add grind masal paste and saute for few more mins. Now add chilli powder,turmeric powder,cumin powder,coriander powder,curry leaves and salt, cook for 8 mins. Now add chicken add cup of water and lemon juice, close the lid and cook until to get gravy consistency. Garnish with coriander and switch of the flame.